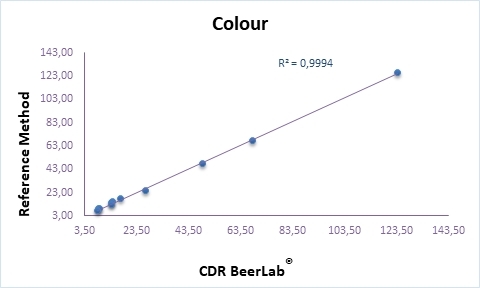 The chromatic characteristics of a beer are defined by its colour which is measured at 420 nm. Even if other ingredients can interfere in the final colour of the beer, the malt is definitely the ingredient that influences most this classification parameter. You can carry out the absorbance reading of the filtered beer at 420 nm, properly vialed in the test tube. The analyzer automatically calculates the colour intensity and expresses the result in the most used measuring units: EBC and SRM. Use on beer or wort. Beer or wort samples need to be filtered with the dedicated filter before the reading. Colour was last modified: February 19th, 2019 by CDR s.r.l.